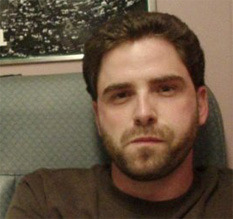 CHRIS DELLOIACONO is an elementary school teacher in New Jersey. DARON KAPPAUFF is an English professor and proposal writer in St. Louis Missouri. Here with Ron Marz. Question: Both of you have careers and jobs out of the comic book industry so what made you want to be a part of it? Daron: I’ve been writing for as long as I can remember, and as you know I dabble in just about everything: fiction, poetry, screenplays, etc. Through it all, though, comics have called to me. There’s something about the medium that entices me, a freedom you don’t get with most others. If you can imagine it, you can do it in comics, and I think that’s really appealing for a writer. I also really like the serialization aspect of comics. As a writer there’s so much more you can do with a character when you get to continually write them. In a novel, even a series, you only get to spend so much time with a character or group of characters. Eventually the book or series has to end. Not so with comics. As for writing comics versus my career, I’m not looking to quit my day job. Hell I’m not even looking to make money on our current project (though I wouldn’t complain if we did). For me, telling the story, and finding people who like the stories I have to tell are the most important aspects of being writer. A lot of people try to break into comics thinking they’re going to be rich and famous. That’s not me. I want to entertain people and tell fun and engaging stories. If someday that means I could write full time, great. But as of now, I’m planning on keeping my day job, and I’m just going to pour all my creative energy into telling the best stories I can and not worry about how many books I have to produce to keep food on the table. Plus I’m pretty sure my wife would kill me or divorce me or worse if I quit my job to pursue a freelance gig in comics. Chris: Like Daron said, I’m not looking to quit my day job. I’ve been a teacher for close to a decade and it’s such a fulfilling career. I couldn’t imagine giving up that aspect of my life. Storytelling and expressing my feelings in writing are one of my passions in my time away from the classroom. I can’t sit on the couch and relax for long, so letting my imagination run wild is a fabulous outlet. About 35 years ago I bought my first comic, Marvel’s Star Wars #18, and my love of the medium has been there ever since. I’ve also written lots of different types of work over the years but comics have a special place in my heart. I don’t think there’s a more beautiful form of storytelling than the fusion of words and images that sequential comic panels offer. I’ve been going to comic shops on a weekly basis for since the ‘80s, and I’d love for others to read Horizon’s End with the same anticipation I’ve felt for countless comics. Question: Obviously you read comics from when you were kids and you are comic book fans so the step to become comic book writers was it a long time plan or an unexpected decision you took at some point? Daron: Adding on to what I said above, I think I’ve wanted to write comics as long as I’ve been writing and reading comics. However, it’s not the only thing I enjoy writing, so I haven’t pursued it with the same vigor as others might. I’ve dipped my toes in a bunch of fields, and while I’m still actively working in other forms of writing, I’ve decided now is the time to really make a go for the comic field. Question: In the past you both have reviewed comics so how is it different for you from comic book fans and reviewers to become comic book writers? Daron: Writing about comics and writing comics are about as fundamentally different as writing poetry and writing fiction. With that said, one isn’t necessarily more difficult than the other; they’re just two different types of writing, requiring different skill sets. And this is the case in all forms of writing. There are always different rules to follow and different skills used in every field and discipline. For me, switching from one to the other isn’t all that difficult. I’ve studied writing, both academically and personally, for years, and I’m constantly working on improving my skills in various fields. So it’s mainly just switching gears. I’ll say this, though, it’s definitely a lot more fun to actually write comics, but I think it’s due to the inherent joy that’s affiliated with “creating” something. Question: Horizon’s End is the graphic novel you are working on so how did you two end up collaborating? Chris: Back when Daron was the EIC of the comic department at 411Mania, he posted on the old DC Message Board that they were looking for writers to join the site. I answered the ad and that one small missive led to us becoming so close we’re essentially brothers. We live 1,000 miles apart but we get together as often as possible, talk all the time on the phone, and each of us have been part of the other’s wedding party. That friendship and the love we both have for writing led us to this momentous point. 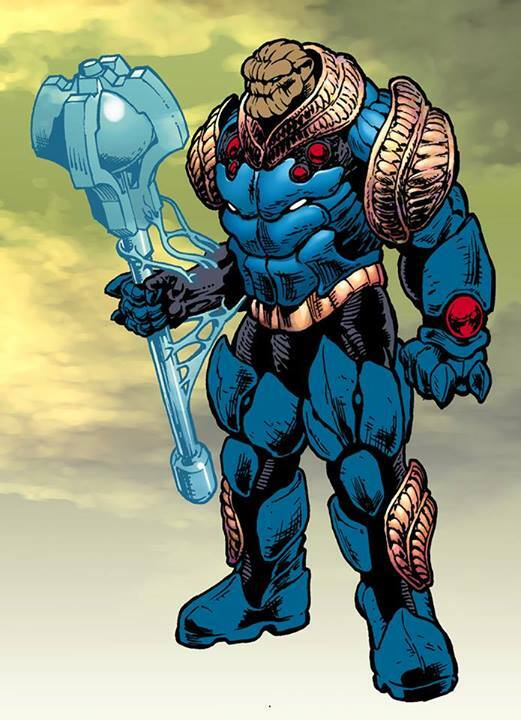 Question: Whose idea was Horizon’s End and how much input did the other have in forming the graphic novels final story? Daron: The initial idea for Horizon’s End was mine, based on a loose concept I had rattling around my head for years. I pitched the idea to Chris, and the two of us set about fleshing out the idea and populating the world with interesting characters. Past the initial spark, it’s been an entirely collaborative project. We’ve both brought ideas to the table, and we always confer before we move forward with changing or adding anything. To me, this is the whole point of doing a co-written project. If we didn’t want each other’s input, we wouldn’t be working on this together. We’ve both written plenty of things separately, but we really enjoy working together, bouncing ideas around, and creating a world that is very much a part of both of us. How did each of you approach the writing of Horizon’s End, what I mean is did you divide on who will be doing the script or the dialogues or did you work the whole scenario together? Chris: We first broke the story down into the broad strokes we were looking to tell. Horizon’s End was initially planned out as a five-issue miniseries, but Kickstarter is such a special distribution channel, we decided it was best to tell the story as a graphic novel. We’re essentially releasing the graphic novel in lieu of five individual issues. It just didn’t make sense to do it any other way, since our backers are helping us fund the complete story. As for the actual writing process, once we had the major story, we broke each of the issues (or chapters) down into more detailed segments. Each of us worked on a specific chunk of the story then passed the section back and forth. It’s amazing, but the work has been so refined at this point that it’s hard to remember who originally wrote what. We each have strengths and weaknesses as storytellers, so I think Horizon’s End has become a true synthesis that accentuates our strengths. Question: Darryl Banks is a well-known creator and a fan favorite for those who followed his Green Lantern run; he will be doing the art on Horizon’s End so how did this collaboration come about? Daron: Chris and I have been acquainted with Darryl for many years now. We first met at the Pittsburgh Comicon, which was the first show we covered together as reporters. Both of us were fans of his work, so he was one of the primary creators we sought out. Since then Darryl and I have stayed in contact, discussing his career, my writing, and any and everything else. As Chris and I progressed on Horizon’s End, we’d often talk about how great a fit Darryl would be for the project. We’d even conceive characters based on how we thought Darryl might design them. Then after many failed attempts to get an amateur artist to commit to the project, we decided to pitch it to him. Luckily for us, the timing was right and Darryl liked what he heard. Question: How is it to work both as fans and as professional writers with Darryl Banks? Daron: I’m not going to lie; it’s nothing short of amazing. 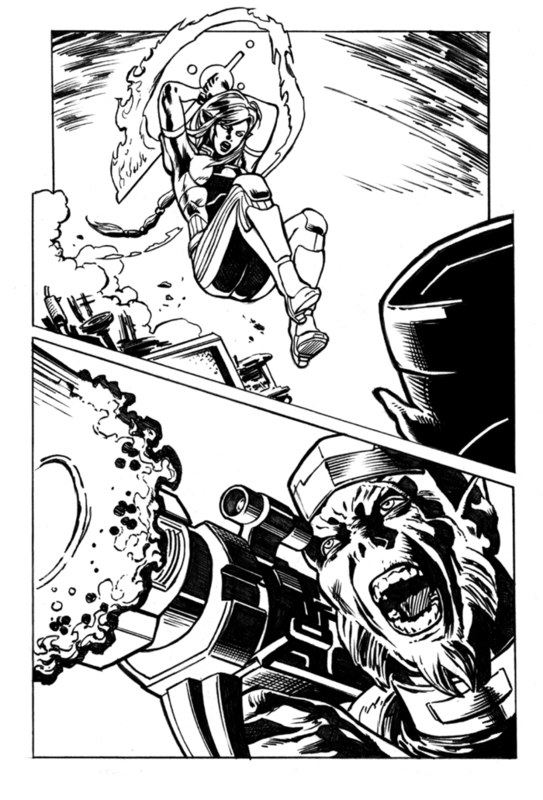 Darryl is on the short list of artists I’ve always said I’d want to work with if I ever broke into comics. So getting to work with him as I’m breaking in is a dream come true (cliché as that sounds). Similarly, Chris and I are both extremely excited about helping Darryl break back into comics. Comic fans have been deprived of Darryl’s fantastic work for far too many years now. To say that we’re proud and ecstatic to have a hand in redirecting the spotlight in his direction is an understatement. Professionally speaking, Darryl has been great to work with. From character design to page layout, he’s impressed us with his dedication to the project and his willingness to do whatever it takes to make the project look incredible. We honestly couldn’t have asked for a better experience or collaborator. Question: Who else is on the creative team or is contributing to helping bring Horizon’s End to its final form? Chris: We’ve been blessed to work with some of the finest talents in the comic industry. 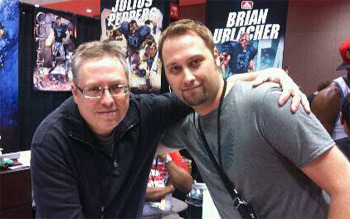 Our colorist, Moose Baumann, has worked on hundreds of comics for Marvel, DC, Valiant, Dark Horse, and just about every other publisher over the past twenty years. Troy Peteri is going to do the lettering, and he may be the busiest man in the comics. Currently, he’s working with Mark Waid’s Thrillbent imprint, Top Cow, and many other areas as both letterer and writer. And let’s not forget our eye catching logo, which was designed by the incomparable Dave Lanphear. Then of course that’s all capped off with the fantastic cover Stephane Roux did for us! Going past the people actively involved in the graphic novel, numerous pros are contributing artwork. These one-of-a-kind pieces will be available as Kickstarter rewards. World famous talents like Mike Grell, Mikel Janin, Barry Kitson, Todd Nauck, Jim Calafiore, and Ryan Benjamin will offer sketches of our cast, and many of them will be printed in the book. I think it’s fair to say that Horizon’s End is packed front to back with some amazing creators! Question: Based on pictures you have posted on Horizon’s End Facebook page we can assume it’s a scifi graphic novel, would you like to tell us of when and where the story is taking place? Chris: Talking real life for a minute, let me say, I’m a firm believer that the universe is inhabited by beings outside of our solar system. Horizon’s End could be going on somewhere out there in the midnight sea of space. Imagine a galaxy where a malevolent force, The Black Dominion, is running roughshod from planet to planet taking anything they want. This particular adventure occurs on the planet Usyel as its pre-industrial civilization is terrorized by the superior might of the Dominion. Hope seems lost and a miserable life strip-mining their own planet is the only option for most residents of Usyel. Question: Does the story concern a protagonist and its supporting cast, a team of powered individuals or something completely different? 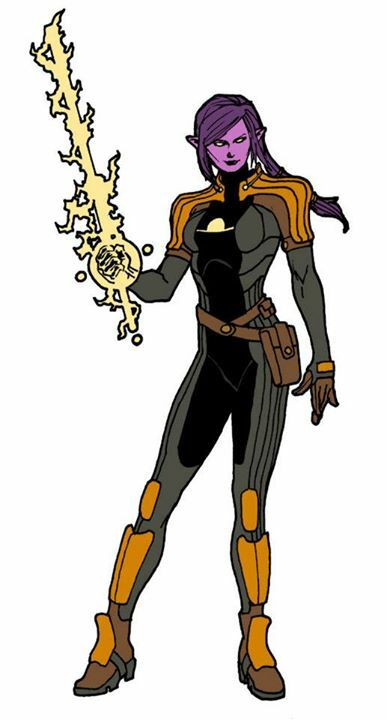 Chris: Andara is the key protagonist, and her arrival on Usyel sets our story in motion. She has tremendous strength, endurance, and amplified fighting abilities. She’s bent on revenge, but how will that help an enslaved world? The will of the people of the planet have been so thoroughly subjugated Andara must find a way to fashion a resistance to the oppressors. In short, it’s revenge and revolution. Question: What makes it different from the mainstream comics that are being published at the moment? Is it the story, the art, the characters or something else? Daron: You mean besides the fact that it’s being written and drawn by people who aren’t currently doing any mainstream comics? Chris: Daron and I aren’t trying to reinvent the comic book. Horizon’s End can almost be considered our love letter to the comics, novels, movies, and television shows that were a seminal part of our coming of age. We may not be creators in the mainstream of today’s comic market, but I feel that Horizon’s End would fit in on the shelf of any comic shop in the world. It’s a fantasy, space opera with grand battles and a coming of age quest. We hope it’s a blast for everyone to read! Question: Being a graphic novel will it appeal only to comic book fans or will it have a broader range of readers who will find interest in it? 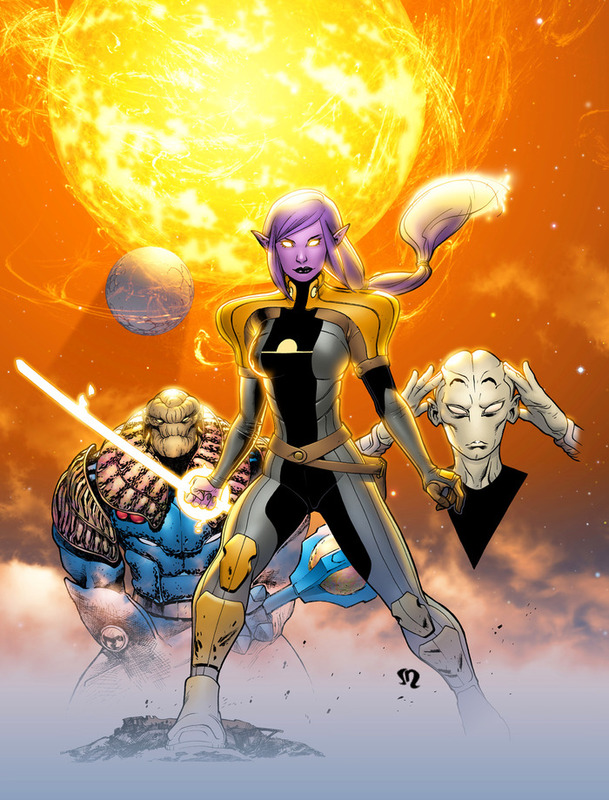 Daron: Our goal is for the book to appeal to science fiction fans as much as comic book fans. The project is very much influenced by our mutual love for science fiction and super heroes, and we’ve tried to find the right balance between the two. Chris and I are both unabashed classic Sci-Fi fans, and we haven’t in anyway tried to hide our influences. We proudly wear our inspiration on our sleeves, and readers should easily be able to see them in our work. We’re hoping this honest admiration for what came before inspires our readers and help them appreciate what we’re trying to do with this story. Question: Is there any possibility to see a Horizon’s End sequel exploring and expanding its story or is it a one shot? Daron: If we have anything to say about it there will most definitely be more Horizon’s End *ahem* on the horizon. We have the story planned as a series of graphic novels that tell Andara’s ongoing story as she ages and finds her place in the universe. The creation of those further adventures will be entirely dependent on how the first book is received and if there’s a demand for more. With all that said, what’s presented in this first book is a complete story. We’ve come up with an ending that we feel is satisfying, while at the same time points to further adventures to come. Think Star Wars: A New Hope or The Matrix. Either franchise could have ended with the first film and viewers could have been satisfied, but they also nicely paved the way for future movies. Chris: Sometimes storytellers take for granted how invested a reader will be in their world. We don’t assume there will be more Horizon’s End stories, so we’re not holding anything back. We want to give every reader their money’s worth with a beginning, middle, and end. Our hope is that you’ll ask for more! Question: Last question in summary what is Horizon’s End about and why will people have a blast reading it? Daron: Simply put, Horizon’s End is a high-energy Sci-Fi romp focused on character driven stories that touch on engaging themes everyone can relate to. It’s a story about self-discovery and accountability set against the backdrop of alien worlds. Plus, are you seeing this art? Darryl Banks and Moose Baumann: what else needs to be said? Thank you both for the time for this interview! I hope the best for “Horizon’s End” which I’m more than sure it will be a big success! There are more than enough pages to read created by several of the most talented people! 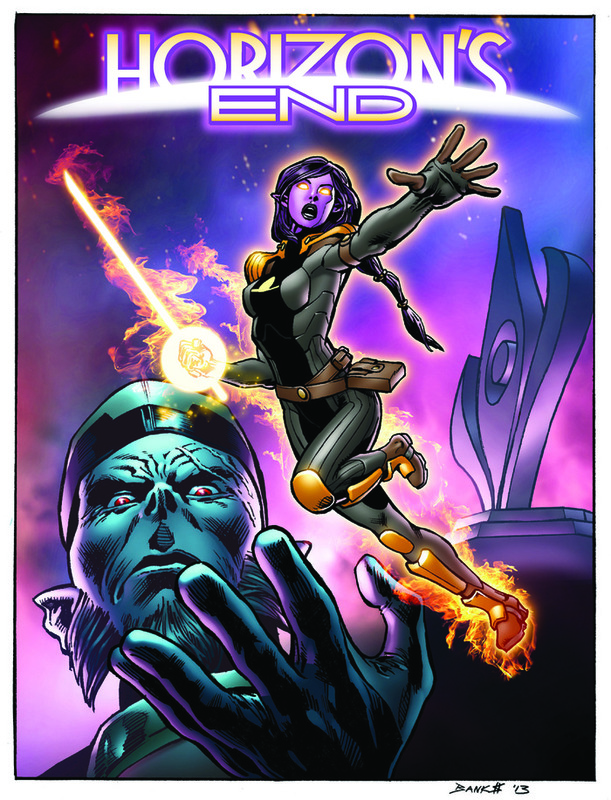 “Horizon’s End” for me seems to be an ultimate sc-fi graphic novel for every comic fan that will enjoy reading!